Have you ever ripped into a fresh loaf of bread with your hands? It’s one of the most welcoming and comforting feelings in the world. A lot of people say they’d just love to crawl inside of its coziness and take a nap. Well, thanks to one Japanese company, Cellutane, that’s exactly what you can do. 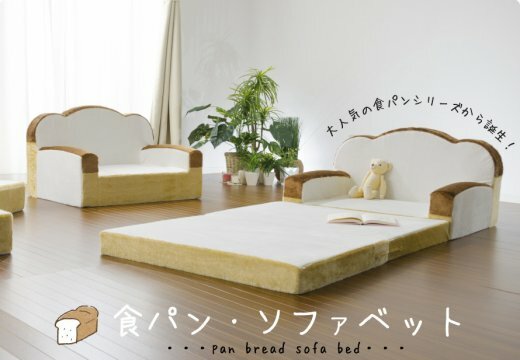 The company is now selling a brand new folding futon sofa designed after sliced bread! 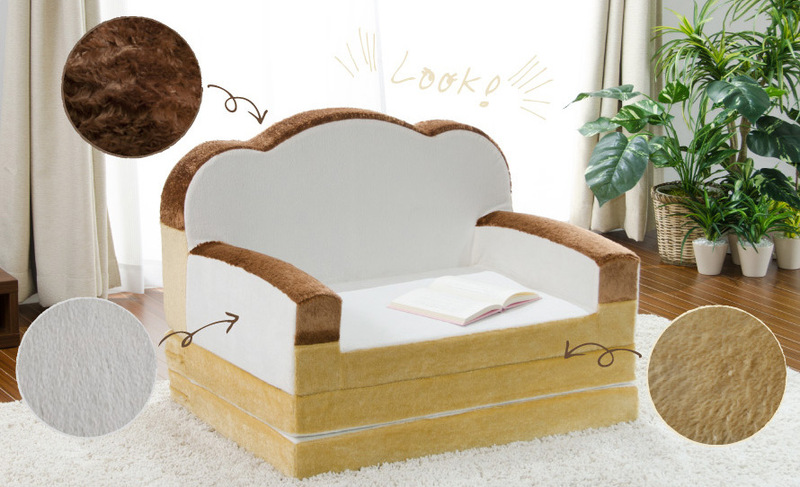 The loaf is hand-made for lazing around on a Sunday morning while you nom on your favorite breakfast pastries and then curl back up for a nap until the world forces its way back into your head. 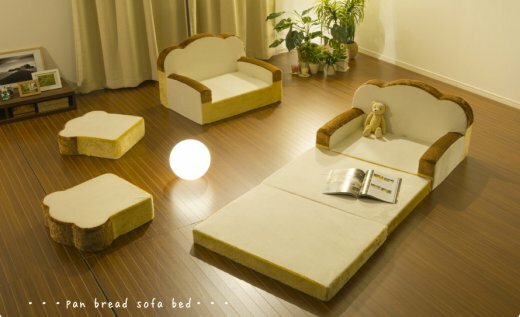 Sadly, the bed was designed for Japanese people, by Japanese people. That means that it’s only 5′4″ long. 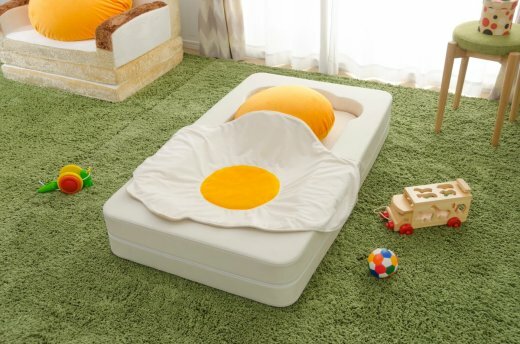 The good news though, is that short people can order this on Rakuten for only $145. 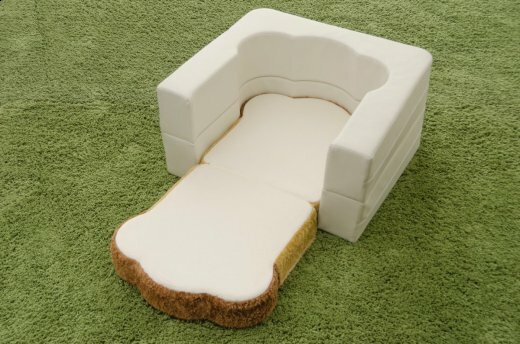 It’s apparently available in both white and wheat. Along with pictures of the bread futon, we’ve also got pics of a smaller version that they had previously tried (and failed) to bring to market. This version is just a single sized mattress, but it comes with an egg blanket and yolk pillow, turning its inhabitants into toads in a hole! Sabine Timm’s Bread Faces Are goofy, Gluten-Filled Awesomeness!